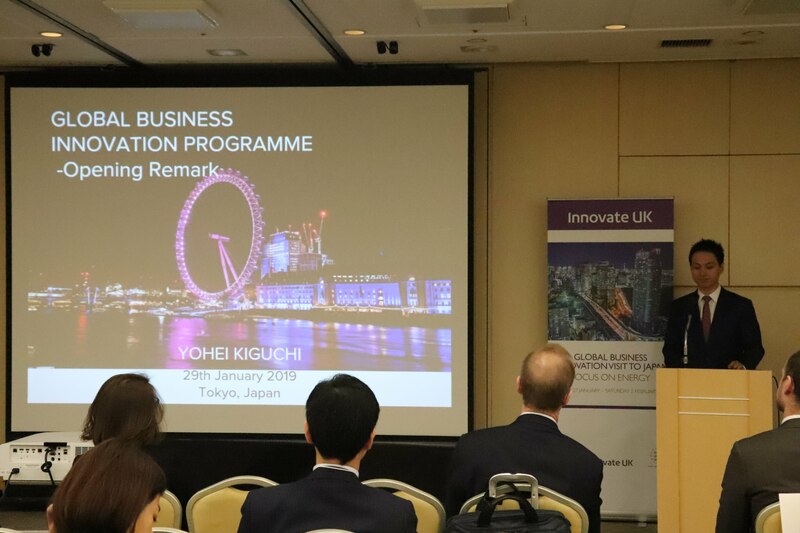 TOKYO, 5th February 2019 – Japan Energy Challenge and Enechange hosted the Global Business Innovation Programme on the 29th January 2019, to match UK innovators with Japanese energy companies. The event was a collaboration with the UK Government’s innovation agency Innovate UK. It was aimed at providing a match-making and networking platform for 14 hand-picked, innovative UK projects in the Japanese energy market. 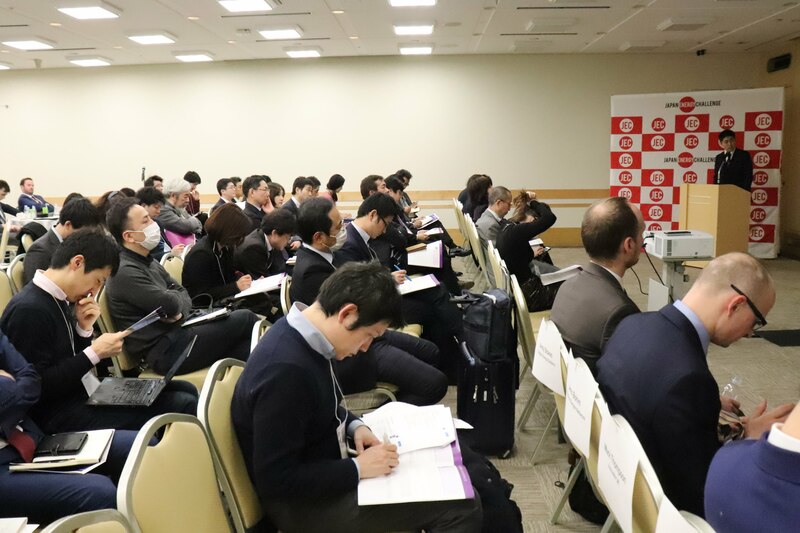 The 14 projects, which operate in various fields such as energy storage systems, renewable fuels and blockchain, presented their products and discussed how these could expand to the Japanese energy market. They were also then given the opportunity to showcase their innovations through a networking event and one-on-one meetings with the Japanese companies. 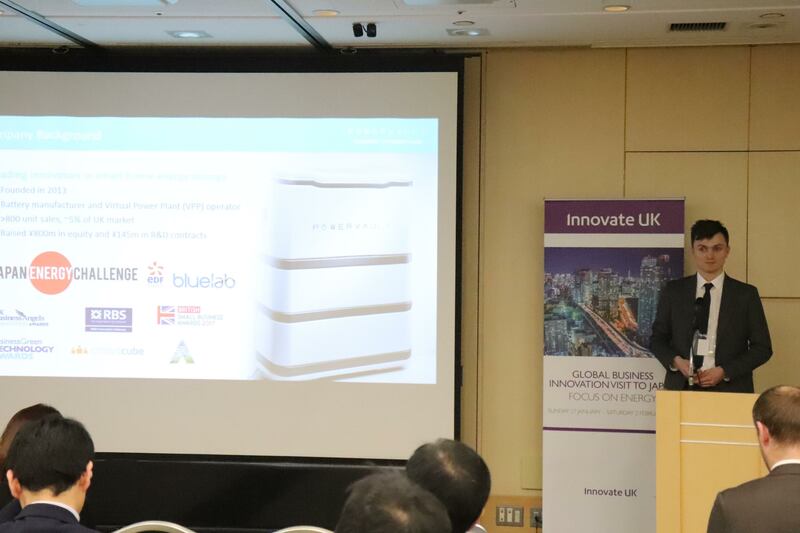 “The quality of the projects brought together by Innovate UK is exceptional and this was reflected in the meetings with our sponsors” said Paul Monroe, Program Manager of Japan Energy Challenge, who helped organise the event. The Japan Energy Challenge will be held in August 2019. Applications are now open to interested parties operating in the energy sector.